NEWT co-owner John Adler is among the most recognized logging instructors in the United States. 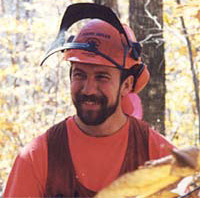 He has been a logging safety instructor and Game of Logging instructor since 1983, and has trained hundreds of professional loggers, forest owners, and students throughout New England, New York, and beyond. 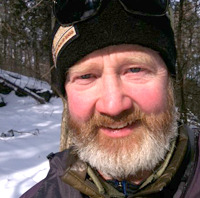 During the winter months, John owns and operates Eagle Forest Improvement, a logging business based in Chester, VT.
NEWT co-owner David Birdsall is a woods-educator. He has worked extensively with students at Sterling College, the Vermont Leadership Center, and the Merck Farm and Forest Program. 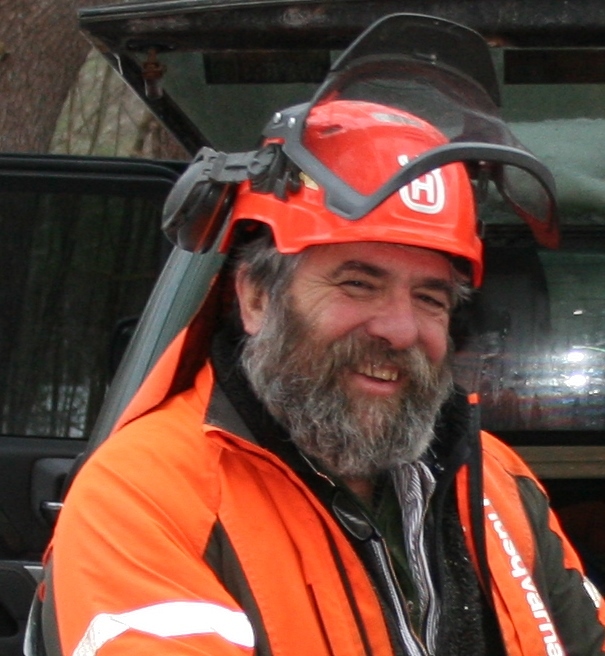 David manages the Vermont LEAP program (Logger Education to Advance Professionalism), organizing and teaching loggers safety and continuing education. 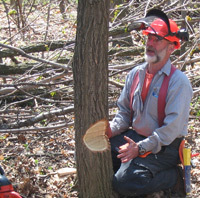 David's experiences in teaching are grounded in his work as a consulting forester, logger, and portable sawmill owner/ operator. In addition, David had a long career leading backcountry trips during the summers for his family-owned business, North Country Camps. From the time he was 15 years old and first ran a chain saw at Boy Scout camp, to Conservation class at MAUHS, to forestry classes at Paul Smith's College, to working for a logger between college years, to cutting hazard trees on forest fires and in state parks, to building a log house from scratch, a chain saw has always been an important tool in Al's life. Arborist/Logger from Westport, NY in the Adirondacks. Mark is a former public school music teacher with education degrees from the Crane School of Music (Trumpet) and a Masters in Education from SUNY Plattsburgh. He is an ISA Certified Arborist, Rock and Ice Climbing Guide, and seven-time GOL Regional Competition winner. Mark is the owner of SilvaSauls Inc, a logging and tree care company that prides itself in safe, clean, quality, and efficiently done work. SilvaSauls Inc maintains the right equipment and properly trained crew to remain a very much in demand service business in the eastern Adirondacks. Avid hunter, fisherman and backcountry telemark skier. Kyle has been running saws and wearing a hard hat through pretty much all of his working life. He has worked as a tree service groundman and a trailworker, where he became interested in doing physical work safely, efficiently, and well. Since 2008 when he started logging, that interest became paired with a fascination with the interplay of saw chain, wood fiber, and gravity. 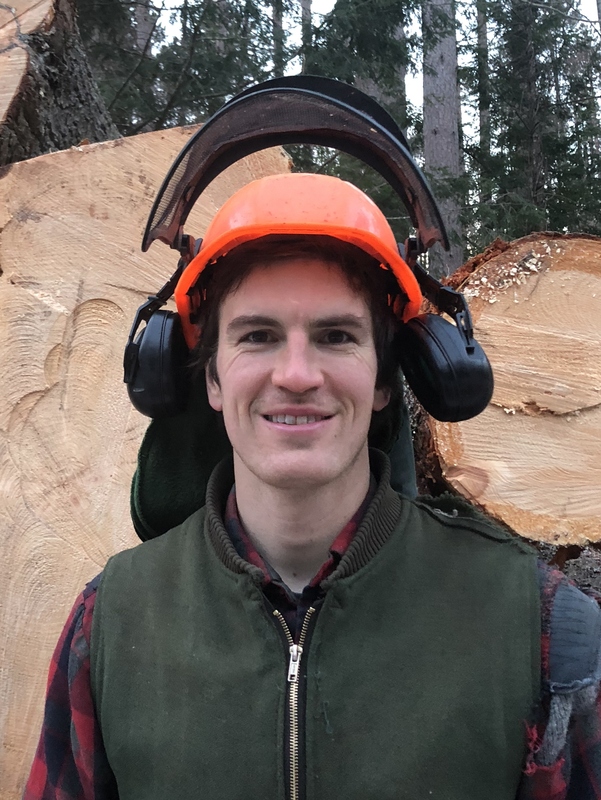 When he is not teaching, Kyle works as a timber faller for Long View Forest Inc., a full service forest management company based in Westminster, Vermont.